Leadership Profile | InterSolve Group Inc. 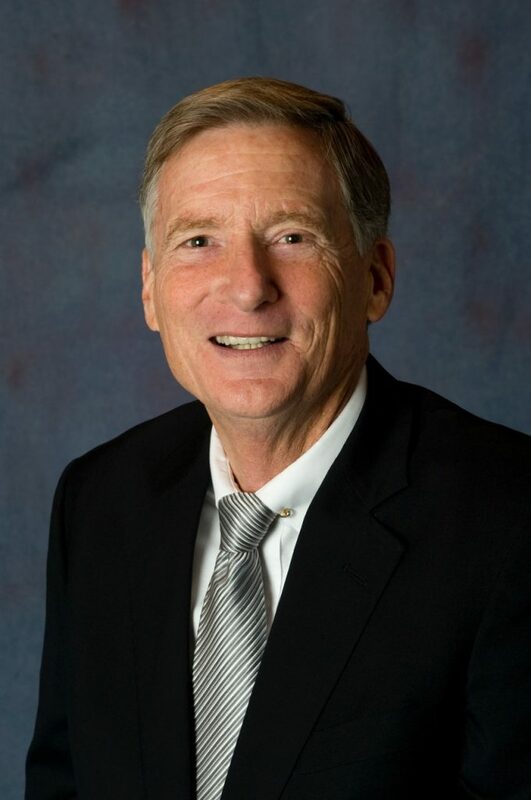 Nationally known for achieving valuable results, Ted McPherson serves as a leader and strategic advisor for chief executives of Fortune 100 companies, Forbes 400 entrepreneurs, and major investors as Chief Executive Officer of InterSolve Group, Inc., the firm he founded in 1991 known for JUST-IN-TIME TALENTSM. Mr. McPherson is called a pioneer by author Tom Peters who featured him in his seminars, his book Crazy Times Call for Crazy Organizations and his newsletter On Achieving Excellence. Mr. McPherson was highlighted within Business Week’s cover story on the “Virtual Corporation” in 1993 for earning $14 million in 90 days for a client by leading project teams from four different companies totaling 26 people, only one of whom he had met before, in restructuring business processes, applying information technology, and managing the human side of change. Rationalizing $800 million in investments for the Chief Executive Officer of a prominent initiative. He has participated in 25 business acquisitions, issued debt and equity in the domestic and international capital markets, served as a director of a venture capital fund, and received an award for excellence from the Financial Analysts Federation on Wall Street. From 2001 through 2005 he achieved breakthrough results as an appointee by President George W. Bush confirmed twice by the United States Senate in two major national assignments in Washington, D.C.
As the Under Secretary of Education and Chief Operating Officer of the United States Department of Education from April 2004 through December 2005, he led the operating and investing effectiveness of an enterprise that provides in excess of $140 billion annually in loans, grants, and guarantees to instill accountability and competitiveness throughout America’s $1 trillion education industry. Mr. McPherson is credited for creating value on behalf of children and taxpayers by assuring effective use of public resources in many states, large urban districts, for-profit schools and grant recipients, including Federal Student Aid’s portfolio of $400 billion for 22 million college students. For example, while he was the Under Secretary of Education, Federal Student Aid was removed for the first time by the Government Accountability Office from its high risk list and loan delinquencies were reduced to 5%. He is also recognized for transforming the Department of Education’s leadership processes, organizational structure, information technology and human capital in assisting America’s 92,000 schools, 3 million teachers, 50 million public elementary and secondary students, 16 million college students, and 6,600 institutions of higher education. Earlier Mr. McPherson served from October 2001 until April 2004 as Chief Financial Officer of the United States Department of Agriculture where he was responsible for the financial leadership of an enterprise that, were it in the private sector, would be one of the largest and most diversified companies in the United States, with more than 100,000 employees, $123 billion in assets and $70 billion in annual spending. The Department of Agriculture provides $100 billion in direct loans, $29 billion in credit guarantees and $38 billion in reinsurance to support America’s farmers, promote global trade, protect America’s food and water, and conduct massive humanitarian programs. A year after he took office, the Department of Agriculture for the first time ever received a “clean” audit opinion for the year 2002 from external auditors, a result subsequently sustained through the present. This extraordinary achievement required massive changes in accountability and internal control and was recognized by the White House and the Secretary of Agriculture through the Department’s Honor Award. Correcting stewardship deficiencies on $10 billion of real and personal property across America. Mr. McPherson was also responsible for the National Finance Center in New Orleans, La., that administered the Federal retirement plan with $150 billion in investments for three million civilian and military personnel and processed $26 billion in payroll annually for more than 550,000 government employees. Mr. McPherson testified several times in Congress on the results he led, was one of five members of the Executive Committee of the President’s Management Council, and held top-secret and special security clearances so as to perform Homeland Security responsibilities. In 2010 Mr. McPherson was presented the National Aeronautics and Space Administration (NASA) Exceptional Public Service Medal “For exemplary leadership, dedication, and commitment to NASA as a member of the NASA Advisory Council from 2005 to 2009... Your contribution will benefit the Nation for generations to come." NASA Award. He served for six years on the Development Board of the University of Texas at Dallas with over 20,000 students focusing on engineering, computing, nanotechnology, and entrepreneurship. He also served briefly on the board of directors and chaired the audit committee of Guaranty Financial Group, a New York Stock Exchange company, prior to its sale. Mr. McPherson is a frequent keynote speaker to business and educational groups, focusing on leadership, character, and competitiveness with his insights appearing in Fast Company, on Reuters and in other media. With over 30 years experience in leadership, operating enhancement, business strategy and corporate finance, Mr. McPherson served as Chief Financial Officer for two large public holding companies, including SunAmerica in Los Angeles in 1991, which had over $100 billion of mutual funds, annuities, and investments when sold to American International Group in 1998. Earlier at age 37, he was Chief Financial Officer of First RepublicBank Corporation, then the largest bank holding company in Texas and twelfth in size in the United States, with peaks of $140 million in earnings, $35 billion in assets and 17,000 people prior to its acquisition by Bank of America in 1988. Earlier, he gained recognition as a management consultant with Booz Allen and Hamilton and was awarded the Joint Service Commendation Medal as an officer in the United States Navy with the Defense Intelligence Agency for “... outstanding professional competence, sound judgment, and expert knowledge in an assignment which demanded the utmost in versatility, perseverance and resourcefulness.” He graduated from Williams College where he was recognized for “leadership, character, and ability in athletics.” Mr. McPherson has a master’s degree in administration from George Washington University and completed executive programs at the Harvard University Graduate School of Business Administration and Southern Methodist University. Mr. McPherson served for seven years as a trustee of the Hockaday School in Dallas, Texas - the largest private secondary school for girls in the United States. He has also assisted young men and women with college scholarship financial grants awarded annually in rural Pennsylvania to several eighth-grade students upon their successful enrollment into college. He and his wife also are on the National Council of the Gettysburg Foundation that built and now operates the new Museum and Visitor Center at Gettysburg National Military Park where he has facilitated the In the Footsteps of Leaders program. Mr. McPherson recently conducted a Winter Study Course as an adjunct instructor at Williams College titled "Practical Preparation for Working After Williams: Standing Out Instead of Fitting In!" that received outstanding evaluations from students. Residing in Dallas, Texas, he and his wife Sally have two married children: Beth, a teacher living in Minneapolis, Minnesota, and Edward, an associate professor of Creative Writing at Washington University in St. Louis, Missouri. Mr. McPherson is an advocate for excellence in academics and amateur athletics, scored in thirteen college alumni basketball games after the age of fifty-five, and has completed a marathon race. Mr. McPherson has allotted some time for speaking engagements. If you would like to contact Mr. McPherson please click here.